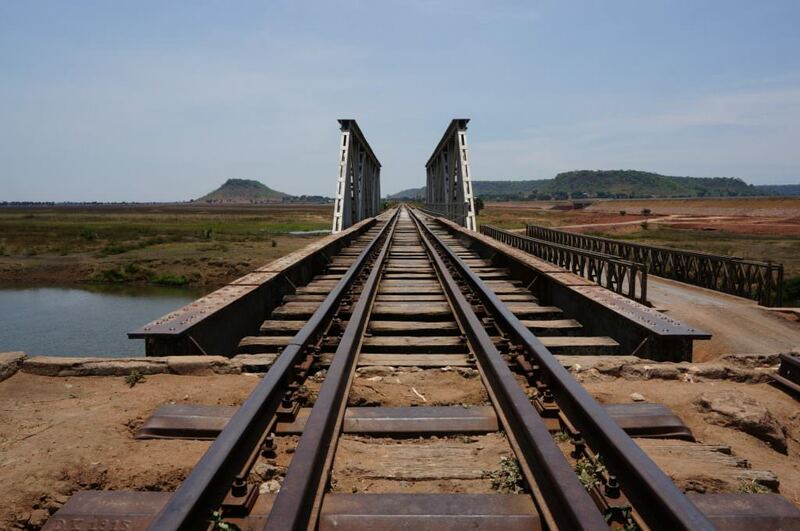 Across Africa projects are underway to improve connectivity and boost economies by repairing existing railway lines and constructing new ones. 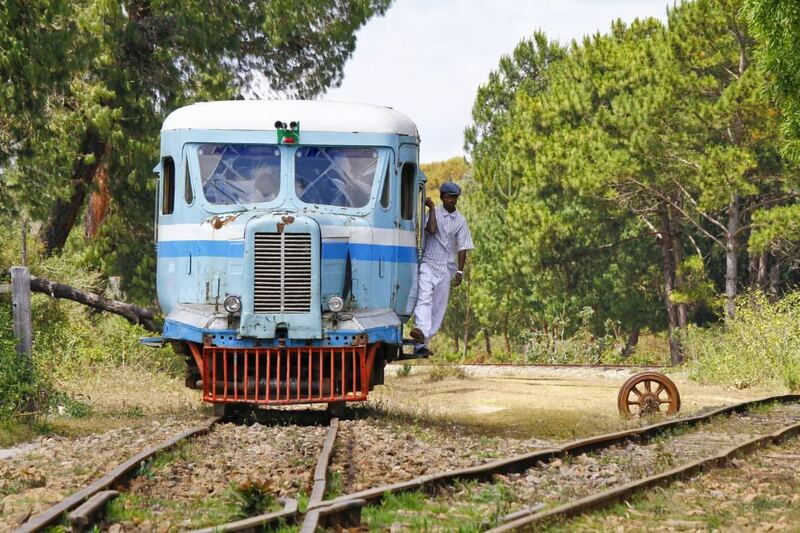 The continent’s first railways were built in the colonial-era but many were neglected and left to deteriorate before the recent effort to revitalise them. Set in Africa’s unique landscape, between the gorgeous backdrops of the African plains and deserts and the continent’s socio-economic challenges, the railways’ embodiment of industry, connectivity and progress makes for striking pictures. Here are 15 photos taken recently of railways in Africa, providing an insight into the condition of the continent’s public and private infrastructure. 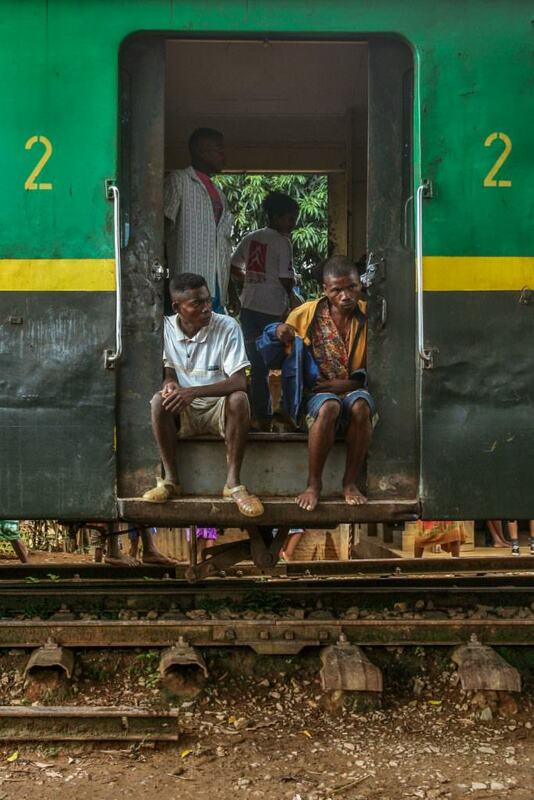 Passengers on board a train travelling on the Fianarantsoa-Côte Est railway in Madagascar (2013). 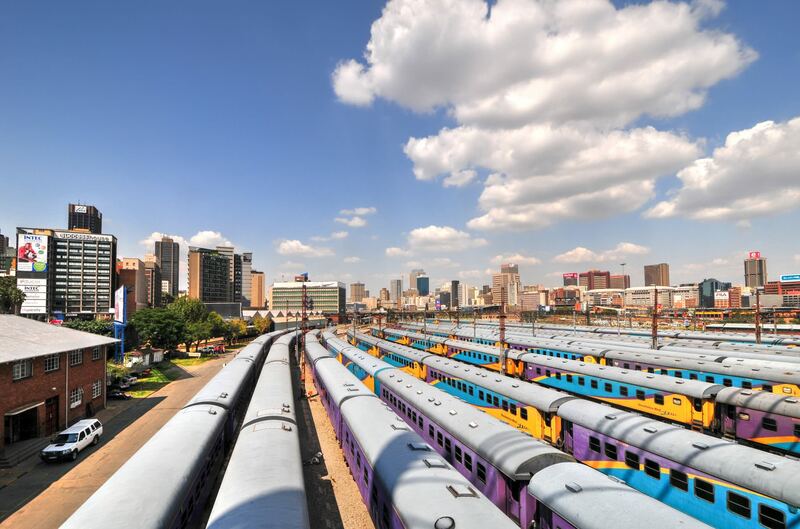 A busy and bright-coloured Braamfontein railway sidings in Johannesburg, South Africa (2012). A rubber-tyred train in Madagascar (2014). 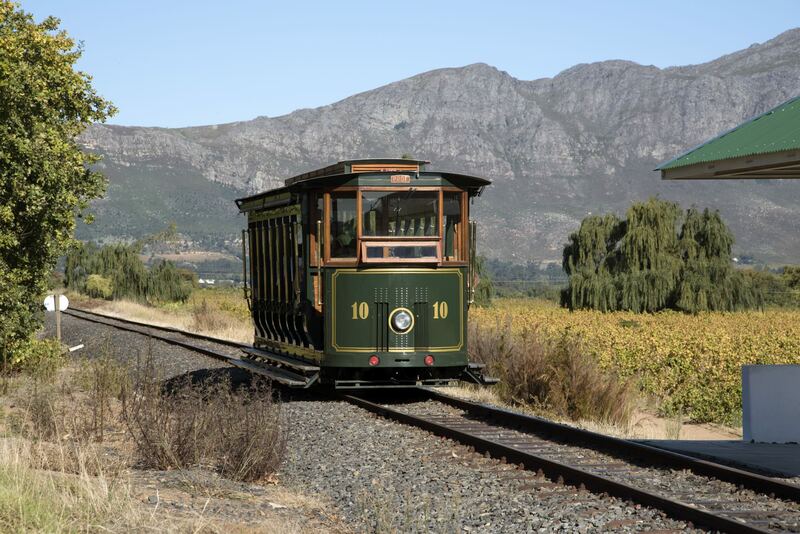 A tourist train approaches the Rickety Bridge wine estate in the Franschhoek Valley, South Africa (2016). 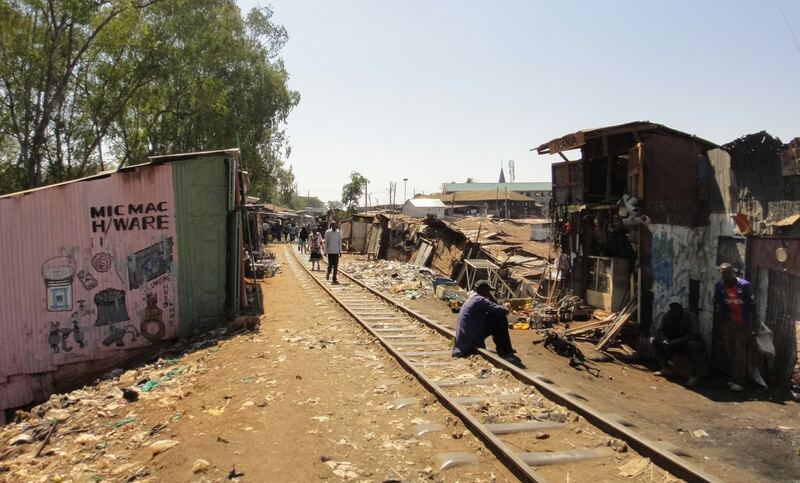 A man sits on a railway track in the Kibera slum – one of the world’s biggest – in Nairobi, Kenya (2013). A Tanzania-Zambia Railway Authority (TAZARA) bridge (2009). 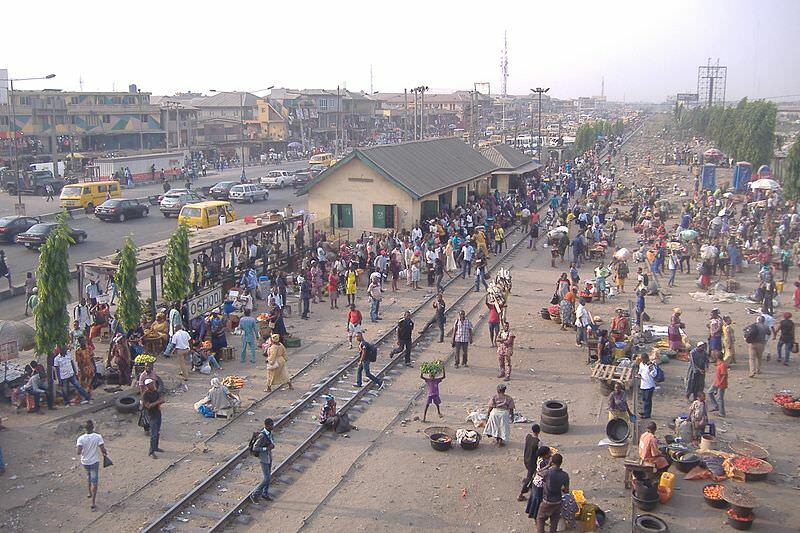 A busy Oshodi railway station in Lagos, Nigeria (2017). 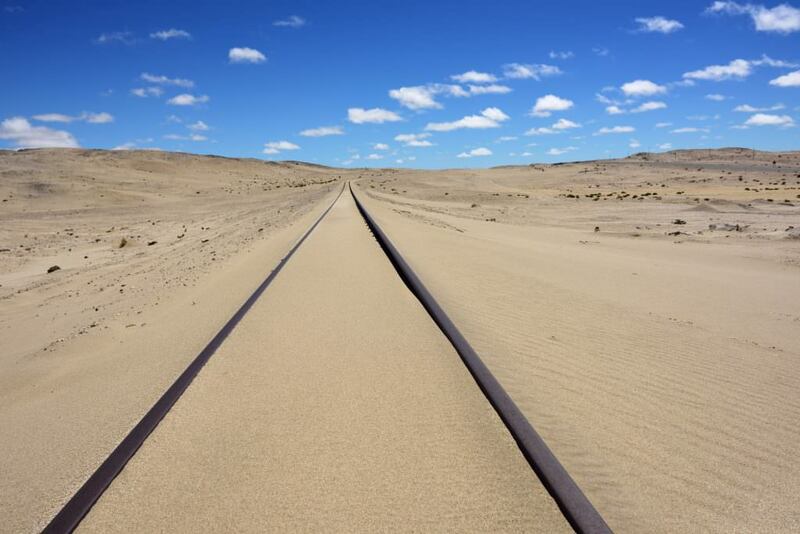 Sand-covered track in the Namib Desert, Namibia (Date unknown). 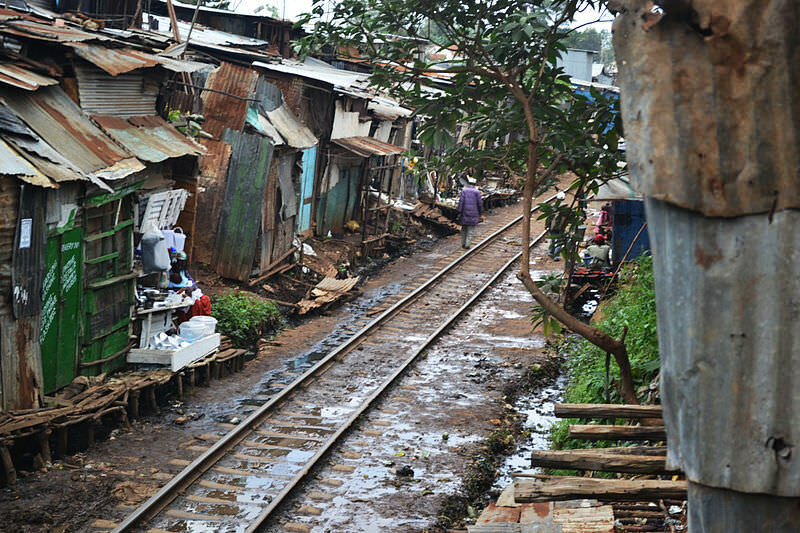 Another view of the railway cutting through the Kibera slum in Nairobi, Kenya (2012). A railway bridge in Kazuramimba, Tanzania (Date unknown). Credit: John Hanson/US Army Africa. 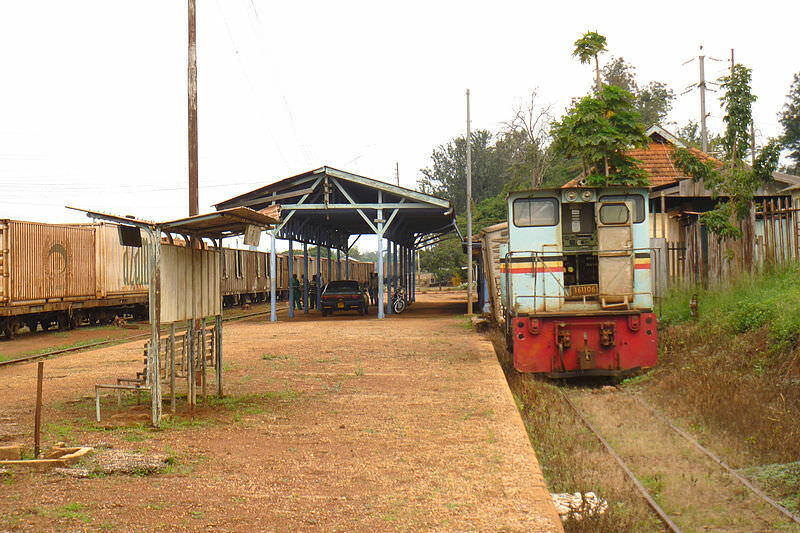 Tracks, platform and a locomotive at Tororo station, Uganda (2010). A green locomotive pulls a train through the countryside in South Africa (Date unknown). 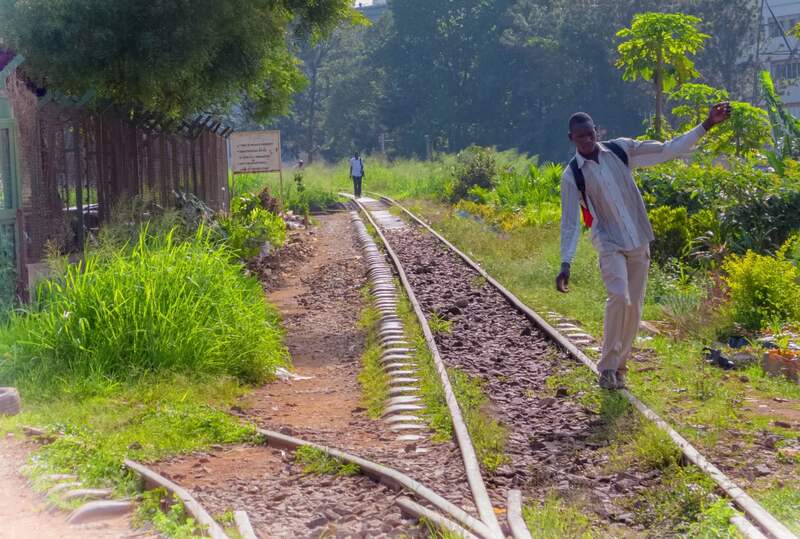 A man balances on a disused railway line in Kampala, Uganda (2017). 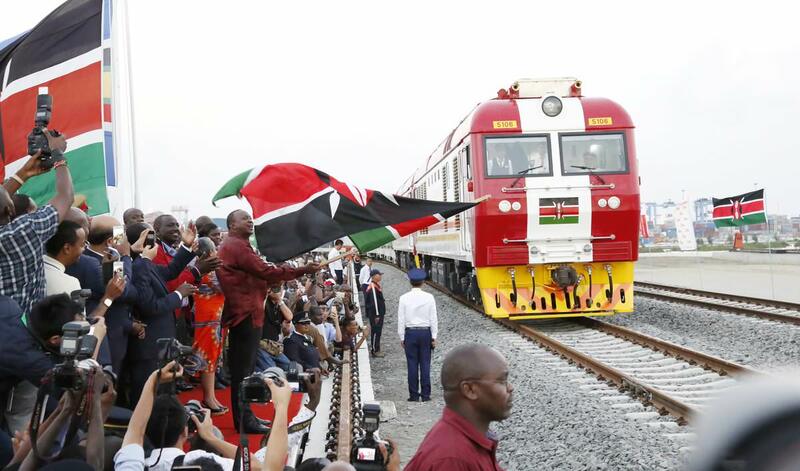 Kenyan president Uhuru Kenyatta flags off a train at the launch of the country’s new standard gauge railway (2017). 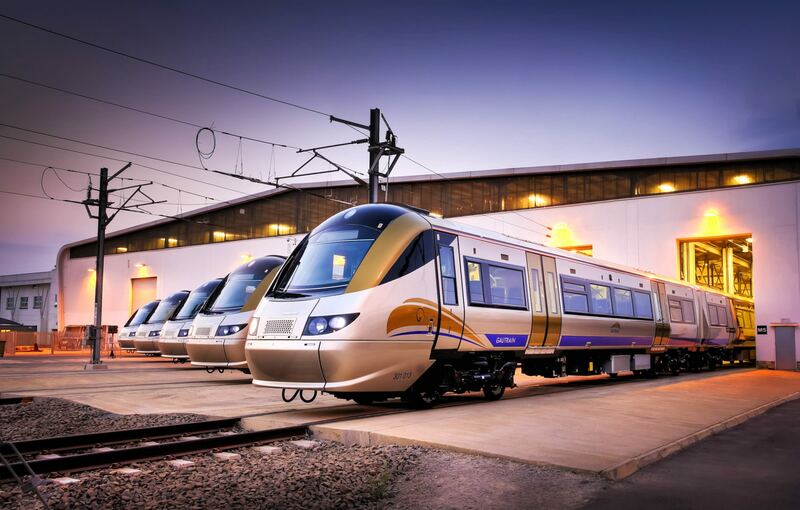 South Africa’s Gautrain, which links Johannesburg, Pretoria, Ekhuruleni and O. R. Tambo International Airport (2014). 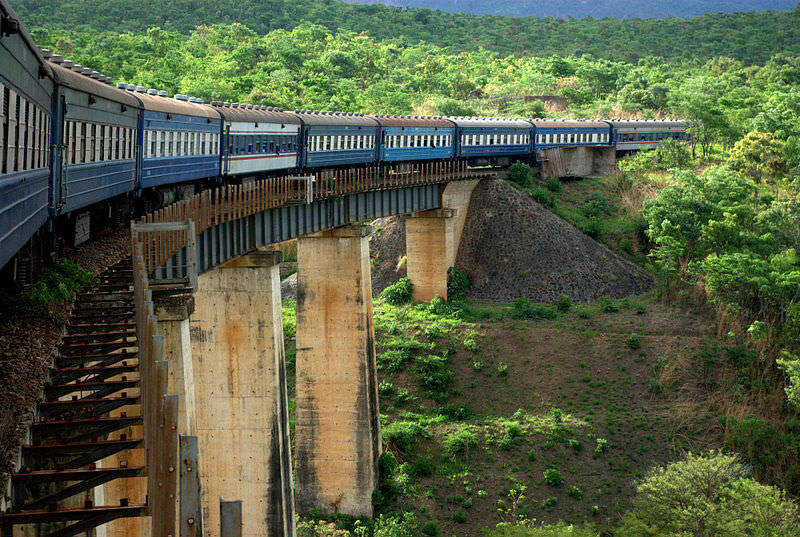 TAZARA goes nowhere near the Zimbabwe border. 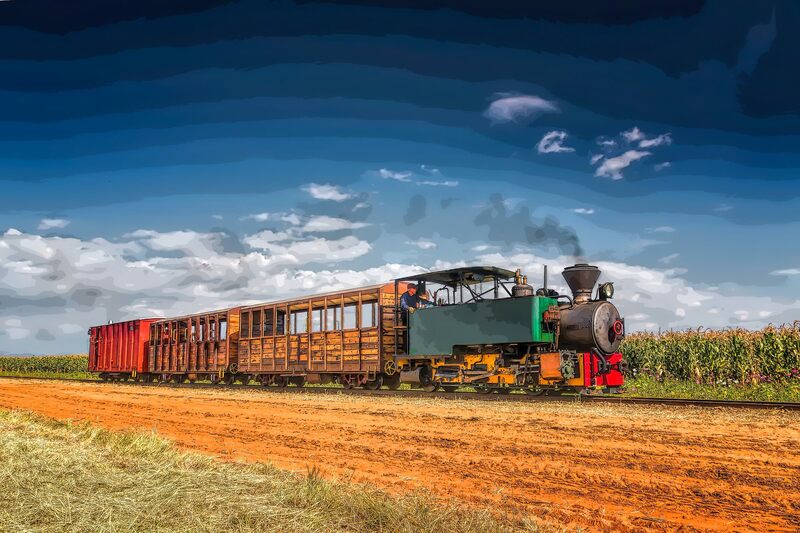 The little green locomotive is on the private heritage railway at Sandstone Estate in South Africa – never a mainline railway. The train approaching Rickety Bridge is an imitation tram on a tourist wine circuit. Pretty poor research. “the last rubber-tyred train in the world” – far from it! Just look at the Paris Metro.